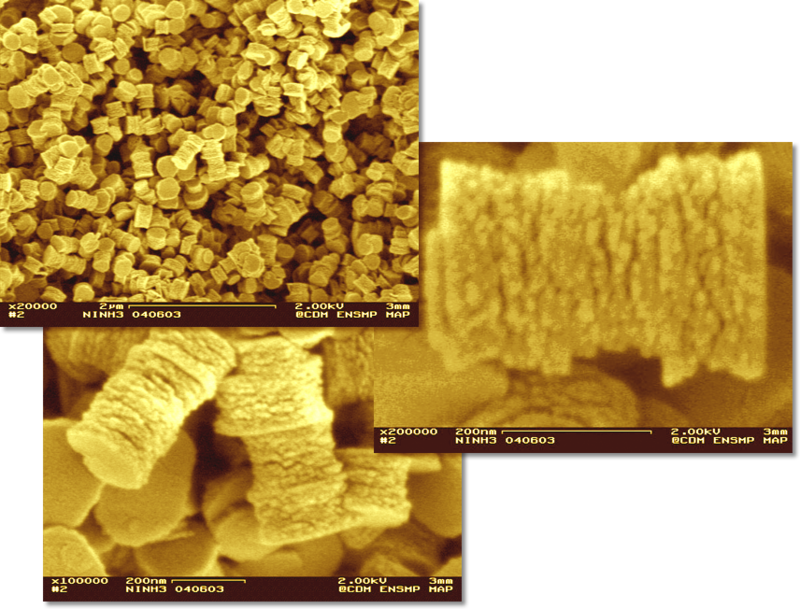 The synthesis of submicrometric and nanometric mineral particles by precipitation concerns several application fields in which the laboratory invests via industrial and/or academic partnerships : cosmetics, biotechnology, material for rechargeable batteries, precursors of ceramic materials, loads for polymers. 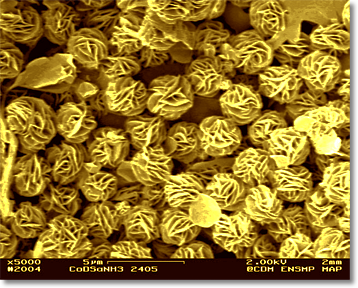 The application properties of the final product depends generally directly on the particle size and/or morphology as well as on their surface state. These features are controlled by acting at the same time on the process — mode of contact, temperature and reagent concentration —and on the physico-chemistry of the solution and of the surface of the solid in formation. As a result, the laboratory works on classical aqueous solution precipitation, sol-gel process, solid formation at the interface and particle coating. The laboratory SCPI studied the control of particle size, morphology and surface state while avoiding undesirable photocatalytic reactions in order to enhance its optical properties (UV absorption) for cosmetic industry. 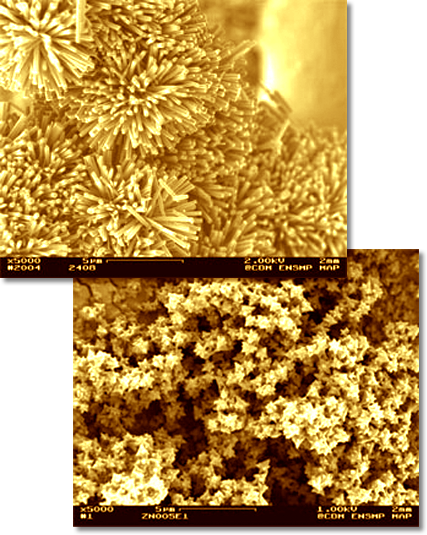 A original synthesis method combining a precursor made in the laboratory and a decomplexation allowed the production of piled up nanodisks of nickel hydroxide, inedit morphology for this material, wich is coupled with a very good crystallinity. The intimate mixing of elements (Ba, Ce, dopants...) in precursors may be decisive to facilitate further processing (sintering, densification) and improve the final quality of the product. In the FP7 project IDEAL CELL, headed by Alain Thorel, « Centre des Matériaux », we focused on mixed oxalates coprecipitation followed by calcination. This approach is valuable for elaborating the critical central membrane of the concept.